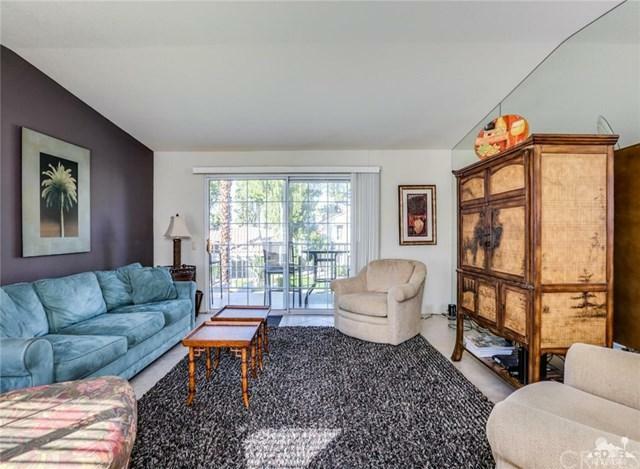 Situated toward the back of the development, this well maintained second floor end-unit condo is just steps from the pool. You'll love the panoramic mountain vistas from the generous-sized balcony. Both bathrooms have been updated with granite countertops, modern sinks and fixtures, and new tiling in the master shower. 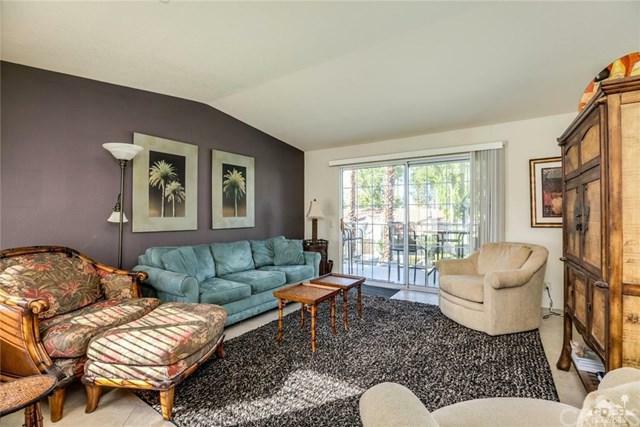 Mesquite Country Club is a gated development offering golf and tennis which is located in south Palm Springs just minutes away from shopping, dining, the airport, and downtown. Investors will appreciate the low 7-day minimum for rentals, and the property is offered furnished. Sold by Alejandro Martinez of Homesmart Professionals. Inclusions Being Offered Furnished- Most items Will Convey.